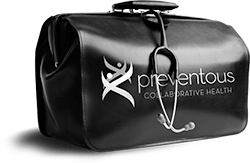 Minimize the health risks of international travel for you and your loved ones with the help of your Preventous team. We are your personal travel clinic in Calgary and will do everything possible to ensure your health and safety wherever you are. Preventous nurse Jayme Middleton gives an overview of a travel health consultation. Travel safely for business or pleasure with our unique Calgary travel clinic service. After we review the details of your itinerary and perform a risk analysis, you will receive a detailed review of your destination and the recommended precautions. Preventous will then aid you in instituting the preventative measures (vaccinations, prophylactic medications, etc.) necessary prior to your departure. We recommend you seek advice as soon as possible prior to travelling because certain vaccines such as yellow fever must be given at least 10 days prior to departure. Your official certificate, required as proof of receipt of the yellow fever vaccine, must be post-dated 10 days after the vaccine to accommodate the period of time it takes your body to build immunity. When you first call Preventous to book an appointment with our Calgary travel clinic, our staff will ask you about your travel itinerary. From this information our pre-travel health consultant will put together a Travel Report, which contains all relevant information relating to the country or countries you plan to visit. Once your initial consultation is complete you will receive your vaccinations on the same day. You will then be asked to book follow up appointments if booster shots are needed. Preventous is a designated Yellow Fever Vaccination Centre. With a team of doctors and medical staff on the premises, Preventous is the ideal place to be should you suffer any adverse reactions.